Let’s talk about SHAG baby! Did you know that shag rugs are amongst the most difficult rugs to dust AND wash? Did you know that some shag rugs cannot even be vacuumed? What’s hiding in YOUR shag rug? Whether it is a hand knotted wool Flokati from Greece or a synthetic poly shag you picked up at a local store, the cost to have them professionally cleaned will be the same. 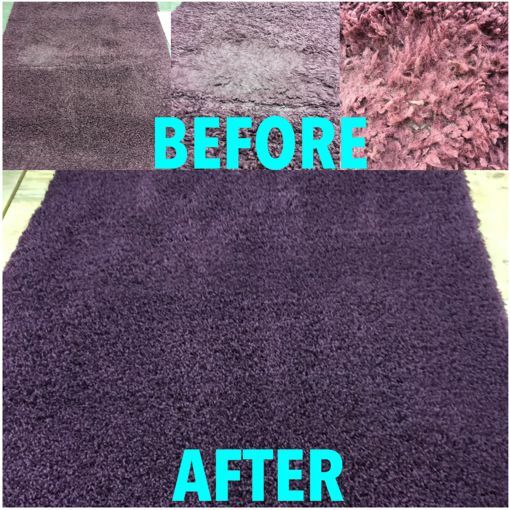 We have an awesome cleaning process in our RUG WORX shop for shag rugs (even the ones w/ pet urine in them)! It starts with a lot of air dusting and grooming before they even begin the wash process. 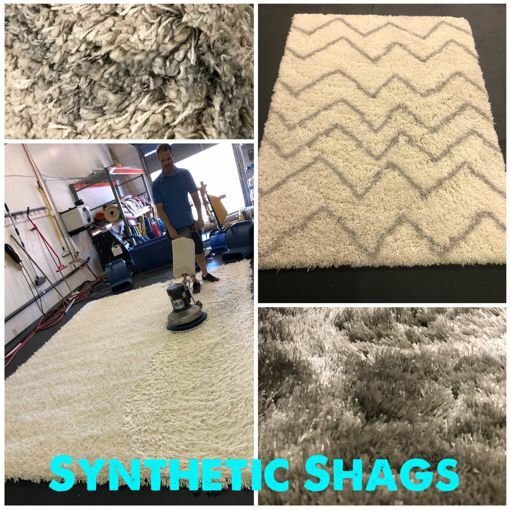 We are confident in our processes and we have fantastic results, but due to the time and effort it takes to get them clean, we do charge an additional fee per SF for all shag rugs. They are FUN, SOFT and sometimes SHINY. They are SHAGtastic and we totally understand why these fluffy rugs are so popular, but they can be troublesome (and expensive) to maintain. Regular dusting is KEY with these fluffy beasts! Can your shag be vacuumed properly? If so, NO beater bars. If not, take it outside to airdust with a leaf blower. If you are purchasing a NEW shag, we recommend having it treated with protector prior to use which will coat all of the fibers, help with dry soil removal/dusting, liquid spills AND future professional cleanings. After each professional cleaning, the protector should be re-applied. DON’T wait too long in between professional cleanings! These rugs will attract and collect all kinds of dry soils and goodies! They typically need to be cleaned more frequently than other rug types. Call us BEFORE it starts to look dirty or has dark traffic patterns. To reduce wear in traffic pattern areas, wear socks rather than shoes or bare feet. This is especially true for our WHITE SHAG owners. Modern day shag rugs we have now originate back to the Flokati rug from Greece 700 years ago?